Greetings Masters ! I am Metatron Lord of Light ! I greet you once and always in a vector of Unconditional Love. 2012 now quickens and the Ascension of 12-12-12 and the birth of the New Planet Earth on December 21st is ever closer. Take a moment to breathe and feel the incredible pulse of the events that will soon be at hand ! The Earth will shift in astonishing ways very soon. It will truly be ‘born again’ into a new and magnificent field of 12 Crystalline dimensions. This will in kind spawn the rebirth of the Firmament. Energies are literally bombarding the planet from your Sun, and indeed the Sun itself is shifting in benefit to both humanity and the earth. Special points on the planet are receiving and disseminating this energy. And so we speak of one such place, the Umbilical of the Planet, the Peridot Stargate of Easter Island – Rapa Nui. Easter Island is unique on the planet. As we have told you previously it is one of the most powerful Vortexial Portals on the planet. Indeed it has been recognized as such for millennia. It is absolutely a potent & benevolent ‘Umbilical of the Earth’. In a true sense, the ‘wormhole’ that is located there, brings in massive amount of coding and sustaining energies for the entire planet. The gateway provides a dynamic balancing & nurturing energy that supports the Earth, its Elemental Kingdoms and indeed Humanity. It is soon to vault into a new and very important role. One many of you have waited for. The basaltic volcanic earth of Easter Island, Rapa Nui, is absolutely laden with crystallized minerals of feldspar and quartz silicate, giving it the energetic- affect of an enormous gemstone. It truly is a projected field of precious multi faceted peridot. Indeed there are massive crystalline pockets of olivine quartz, peridot, in its volcanic formations as well as chrysolite. Your geologists are aware of these massive olivine crystal formations and deposits. What is not recognized is that these powerful crystals have a tremendous influence on the energy of the island and its portal. But this was recognized and understood by those of LeMuria that once lived there. These olivine crystals are why it was called the Peridot Stargate. The land that is Easter Island in your present is indeed the remains of a pristine mountain top of LeMuria. It carries the original imprint of LeMuria perhaps more than any other location on your planet both in physical and nonphysical terms. It is a multi-dimensional stargate and functions in that aspect for myriad worlds and realities. Multidimensional reality is not subject to the restrictive constraints of linear space-time. And Easter Island projects facets of reality that are utterly astonishing. Because of these facets, Easter Island is a ‘Time-Gate’. Here time is fluid and other epochs of time ‘programs’ co-exist more tangibly than in other such points on your planet, specifically because of its combined cosmic and telluric energies and terrestrial grid placement. There are energetic stones, calderas, ceremonial sites, and caverns on Easter Island that lead to different worlds, worlds that are known and unknown to you, worlds that many of you experienced in your past. The realm of the LeMurian Utopia was an idyllic paradise that most of you experienced, and most of you have forgotten. For those of you that were LeMurian, Easter Island is a gateway that offers this remembrance. Indeed it is much easier for those of you versed in esoteric disciplines to experience such alternate realities, in the ‘Peridot Stargate’. But because the triangular island is now but the top of an ancient mountain, and relatively quite small, it may not seem to be the Paradise that it once was, but we tell you, all that was ever there, remains in place within the complex facets of multi-dimensionality. The energy of this Sacred Island is ‘zipped’ space. (Only Mount Shasta is its equivalent in this category.) Within its succinct field are far more than 12 dimensions, concentrically condensed. And as we have said, the visiting pilgrim with the developed expansive vision of the third eye can more easily ‘see’ past and future versions within the facets of this multi-dimensional vector. The grand Temples and Pyramids, and lush vegetation that once were here, are still quite present in simultaneous epochs of time. Most humans experienced LeMuria as their first sojourn on Earth, entering the Earth-Plane thru the Arcturian Stargate of Easter Island. The land that is now the small island of Rapa Nui was then a Sacred & Holy mountain at the southwestern corner of the massive continent of LeMuria. But we wish to make an important clarification. It is essential to understand that LeMuria existed on the earth in two very different phases. The first was a utopian realm, which may be more accurately described as a hologram of light. This was before the Earth shifted into duality, long before the purposed break-up of the original Firmament. At his time LeMurians were in luminescent manifested ‘projection’ forms, not truly physical, but these light forms utilized the ‘elements ‘ of the Earth in their expression. Accordingly their vibrations were’ faerie-esque’. That is why many of you so relate to the elemental kingdoms of earth, air, fire and water, for the LeMurians experienced life as projections of the earth elements and kingdoms. They were the original shape-shifters ! Capable of flying as an eagle, swimming as a dolphin, running like a jaguar ! Harmonically melding at will with every aspect of the planet, including the mineralogical crystal-beings and the benevolent fire-dragons of the earth’s kundalini leys. . In this state life was an adventure, not one of duality challenges. It is of this phase of perfection and joy that we now speak. The hologram of the original LeMuria was indeed anchored at Easter Island to the physical earth, but that physical Earth was quite different in its dimensionality and expressions than the Earth you now live upon. The land that is there is the same you once walked on and there are still some of the enormous statues and ceremonial sites. But the surface land area is now much reduced. Sea levels are much higher. Below Easter Island is a massive chasm of hollow Earth, and it is teeming with lifer and adorned with grand Temples and Pyramids, as extraordinary as the ones that were on the surface eons ago. And the original gateway, the Stargate is absolutely still there. It cannot be shifted. That is because the Stargate of Easter Island is a purposed coordinate of energy, deliberated placed with a unique arrangement of particalized light. And while the mineralogy of the island embellishes its energy, its location is based upon its geometrics and cosmic angular alignments. Its placement on the geo-spherical earth grid has a direct connection to Arcturus. The LeMurians always knew that an opportunity to transit into a different, more physical dimension would come…and that it would present defining choices. Some would remain and enter duality; some would return to other realms, others would enter in the frequencial chasms of inner earth. And it is not paradoxical to state, that all within multidimensionality maintain a great aspect of self within the original Island of Paradise. It is not lost. And to make an important note, that may be in contrast to the conjecture of some, the transition into physical matter within duality, was not a degradation of downward spiral. It was not the ‘Fall of Mankind’. No ! Rather it was an optional choice of decision that was offered. Physicality was chosen by some and not by others. It allowed for a greater challenge and the freedom to experience will within duality and polarity. To experience linear time and polar magnetic earth, while very challenging, is a great path, and noble one. T he LeMurian Utopia of the initial phase was a specialized hologram of light inserted within the Omni-Earth. It was a vast hologramic of nonpolar frequency and coherent light. The original LeMurian utopia covered the entire planet. But it was entered into via the Stargate that is now Rapa Nui. Within that Utopia all movement was by thought, and communication was telepathic. At the initial phase of ancient LeMuria, Easter Island was part of a super continent. Easter Island was a beautiful mountaintop, with sloping velveteen sides. It was indeed the original Garden of Eden, with lush flowers of scintillating perfumes in vibrant colors of every hue. Incredibly beautiful trees were lined along crystal clear cascading streams. All Kingdoms of the planet were in harmony. The Faeries and Elves of both the planet and mineral realms were totally visible and intermingled with Water sprites above the gurgling brooks. Carpets of iridescent moss and lichen brought in amazing colors. Winds were soft and gentle. The shifts of temperature and sometimes turbulent weather you now know did not fluctuate in ancient Mu. The entire weather conditions of the entire planet were modulated to one consistent temperature even in the Polar Regions. Rainfall occurred in the mornings and late afternoons in soft mists that generated astonishing rainbows. The higher Divine aspect of the animal kingdom walked in amazing arrays, living on water and light, and communicating clearly, gently and clearly telepathically. Lions and tigers lay beside luminous human and lamb. And this paradise was a time in which locomotion was by thought projection, indeed you could be anywhere on the Earth by mere focus. Dreams you have of the passionate exhilaration of fearlessly flying high above vast distances over shimmering waters, vibrant mountains and color collages of myriad landscapes in fact are often ‘dreamscape’ very real reconnections to the Eden of Easter Island, for you did that so many times. And because instantaneous travel was so easily achieved, the LeMurians remained somewhat based in Eden; the luminous stargate of Easter Island, for there was no place more beautiful or more potent. The LeMurian infrastructure was thought manifested and fluid, self evolving through thru magnificent harmony of combined group mind. It was an Eden of creation. The land was adorned with Pyramids gilded in golden layers and Temples of white alabaster marble. A ray of visible light beamed from the apex of the Pyramids. And from the Temples, beautiful artistry of dance and music was performed. The night skies were a kaleidoscope of color, as the Firmament glowed in the iridescent hues of the Aurora Borealis, covering the entire sky in a dynamic swirling energy that was stunning to observe. The energy of the stargate atop Easter Mountain glowed in a luminous radiation filled with light burst that shined like suspended micro stars. And the amazing plant life, all of the members of the Plant Kingdom were vividly conscious expressions of what the Druids referred to as ‘Greenman’! The trees of LeMuria were conscious, exquisitely expressed and articulate. There were groves of trees as tall and majestic as the California Sequoia & Redwoods. All exuding energy of strength and tranquility. The vines of green ivy were animated, braiding and twining at will to the rapturous delight of all around. There was no fear, no anger, no sadness, only joy, only LOVE – Unconditional Love. The actions the LeMurians made did not require a consensus of council, for all was in harmonic perfection. But their thoughts and creations were not frivolous, rather in the frequency of highest good. This was Utopia. Manifest reflections of highest vision and elucidated wish. A mindscape of lively spirit, adventurous vitality and creative animation in an inspiring stream of infinite and resplendent life-expression. It is still and ever there !It yet shines above (and in chasms below) Easter Island, and at times amidst the benevolent volcanoes and amazing statues it can be seen for a fleeting moment, and felt for a timeless instant of eternity. LeMuria was a Shangri-la of play, of laughter and joy. When one laughed in joy & bliss, all felt the love. Luminous souls were not limited in the wholesome expression of any loving emotion, there were only expressions of light in which souls merged and expressed ravishing ecstasy, spiritual sensual bliss of Beingness in complete sharing. Pilgrims to the Island absolutely have lucid visions of this memory, for the Garden of Eden is timeless. It is the once and future Camelot of beauty and harmony. We tell you it is there, the stargate and dimensional field of this living hologram will ever project eternal magic. The land & the standing stone statues of Easter Island subtly, yet dynamically project the energy-keys. It is not conjecture, rather thru multidimensional laws of physics. The land does indeed upshift the vibration of past and present LeMurians, and allows all to enter into the Living Rhapsody of Love. Paradise was not lost. ..just forgotten in the challenges of duality, but always there in the refuge of lucid memory. Question to Metatron: You have previously mentioned that vertical and horizontal octahedronal gateways exist on Easter Island. How does one enter the portal to the ‘Inner Earth’? Metatron: Your bodies are conduits of the planets currents within the third dimensionality. At specific powernodes, particularly volcanoes such as the ones on Easter Island, earth currents contain the circuitry of other dimensions within the earth. This embellishment is a result of mineralogy. Easter Island is composed primarily of the mineral olivine (when in its crystalline phase is also called peridotand chrysolite), is an octahedronal magnesium iron silicate. The entire island is a projected energy of peridot and chrysolite! Now you may understand why it is such a unique place of healing, serenity and expansion. Indeed the crystalline deposits of the crystalline gem aspect of peridot, being an olivine of silicate quartz provides an incredible energy to Easter Island. Feldspar also occurs on the island. Both add to the octahedronal ‘as above so below’ geometry of the island. The crystalline and magnetic (iron basalt) minerals combine to amplify the ability of the Moi stones and AHU Pyramid to assist each human in traveling lucidly to other realms. Question to Metatron: You mention that the ‘standing stone statues of Easter Island’ hold energy keys that allow for entry into the original Utopia. Can you speak on this ? Metatron: The stones are of the Earth, but the energy embedded into them is celestial. It is activated by harmonic ‘Om’ sound, just as are the keys in the hallowed chamber of Giza, and the circuitry of mounds at Newgrange stargate. We add that the Utopian field is etheric, in your terms. The Utopian field is held in place by a nexus, a series of inter-connected spirals of energy that carry associated particles of matter / non-matter between the hologramic layers of the physical / non-physical dimensions. But the stones act as the catalyst of the frequencial keys, their energy works with the Mer-Ka-Na, the crystalline light body by induction to upshift those that have the ability of light-quotient to enter. Easter Island represents far more to humanity than is recognized, and especially so for the many who experienced life in its first 2 phases. When Earth shifted into duality, it was chosen as an Island of Light for LeMurians selecting to experience life in the more dense eras of physical matter. It was chosen for its incredible energies and proximity to higher dimension…but also for the gateways above and below, and for its role in the future. As we mentioned earlier in this channel, the Utopia of LeMuria was and is a nonphysical realm of ecstasy and joyous adventure. Approximately 800,000 years ago in your linear time The LeMurians moved onto specific sacred points within the Earth’s energy grid that aligned favorably with cosmic influx. Easter Island represented the major point, with secondary communities dispersed throughout LeMuria, notably in regions around what now remains as islands including, Hawaii and Tahiti. LeMurians were not bound to the Earth in the utopian field, but as the Firmament dissolved, and Earth transitioned into polarity, most remained for a time, experiencing the denser bodies in which souls were tethered to physical forms. No longer could they travel by thought or fly in luminous bodies of light. 3) ** Movement into frequencially higher ‘Inner Realms’ of the Earth. Approximately 65% moved into Inner Earth, the greatest numbers below Easter Island, and others below Mt Shasta and the crystalline energy beds of Arkansas and Brazil. These would be held in place by the Codes of Light and retained by Wisdom-Keepers for many millennia. The LeMurian age was at a seeming end, and as duality increased a separation fell for a season. The Inner Earth LeMurians headed for a completion, and for a time there was little purpose in interfacing with the density of the Earth’s surface populace. This was innately understood. But the purposed separation was only for an age and a season, as marked in cosmic cycles of the Omni-Earth. Special LeMurian Emissaries remained upon the surface and Inner realms. Carrying codes and retaining wisdom as the surface populace moved into greater densities of duality and faced challenges that were not chosen by Inner Earth LeMurians. And so accordingly the sojourns of Inner Earth LeMurians and surface Earth populace, moved into vastly different vibratory dimensions. And although the Inner Earth beings progressed in a very different cycle from those on the surface Earth, there have always been special emissaries connecting both. Indeed the ‘Law of One’ of Poseida in the Golden Age of Atlantis were also Elders of LeMurian Codes. The Law of One were in fact family members of the original Utopian experience. It was deeply understood by all LeMurians that there would in time be a re-merging. That time is coming. Easter Island carries an important role in that process. It is now being prepared to anchor the New Firmament. And beyond the anchoring in the not too distant future it will be a re-emergence point of the LeMurian family of inner earth. And the reunion will reunite all LeMurians, of surface & Inner Earth and those of Sirius and the Pleiades. In the interim, Easter Island, Rapa Nui-144 is ever a Sacred Portal of Healing, Balance and Remembrance…of that which you once knew and will be again. Easter Island now calls to you, calls to those of LeMuria to come and receive the codes of remembrance. It is a place of the nurturing energy that is in the perfection of balance. It holds a unique alignment to Mt Shasta, Arkansas, Newgrange, Giza and Brazil (Sao Tomas des Letres in Minas Gerais). It is in fact axialtonally connected by underground hyper dimensional ‘tunnels’ to all of these. It exudes the energy you term Divine Feminine and Divine Masculine. It is the perfect equation of both in balance. Accordingly it provides the energy necessary for those that are in imbalance to receive the flow of what is required for balancing. For a male in over masculine frequency, feminine influx occurs, and vice versa. It will in 2013 pass this energy axialtonally to other such locales on the planet, and there are 11 receiving this energy. Those of you receiving the codes of this will become living carriers of such codes to pass them forward. Easter Island is indeed a Crystalline Light of Peridot, and the light of this energy, which is richly embedded across its land, offers the Green Ray of Healing and Joy. It was and remains the first Temple of the LeMurians. And most of you know this energy, perhaps far more than you realize. It exudes the energy of home! The Stargate opens to those who are called. Each of you in Divine Self know, in deepest truth that you are still there. It beckons and it is visited often in dream, lucid dreams of euphoric exaltation and zest. It is a buoyant heavenly place of evermore where dreams come true. Your travels have taken you far, and the path now leads you home… and the light is left on for your arrival. James Tyberonn, www.earth-keeper.com, worked as a professional engineer & geologist for 33 years. He is a native of Arkansas, but has lived & worked abroad for over 30 years, circumnavigating the globe many times & traveling to over 75 countries in his geology work. Tyb has always had a very deep love for the earth, and a driven interest in spirituality and metaphysics all of his life. During his 33 years of working abroad, he devoted himself to intense metaphysical studies of varied disciplines. He focused on understanding the energy of the living Earth from both a scientific and metaphysical perspective. Tyberonn has recently been a featured guest speaker at the United Nations S.E.A.T in New York City in late August of 2011. A military veteran, Tyb served his country as an officer in the US Army Signal Corps. In his geological work, he lived as an expatriate in Bolivia, Brazil, India, Venezuela, Gabon, Congo, Russia, United Arab Emirates and Scotland. He studied gemology while in Brazil, and speaks Spanish, Portuguese and French. He has had a great interest in metaphysics, sacred sites, grids, leylines, portals, vortexes, healing gems, crystals, auric maintenance, Crystalline Light Body, spiritual growth and music. A musician, he produced and recorded a music cd of blues and jazz. All of the proceeds from the CD are donated to charity, the Foundation for the Cure of Cystic Fibrosis. Tyb is a member of the Sierra Club and a staunch environmentalist. He has a great love for the planet, and believes the Earth to be the living sentience of GAIA. 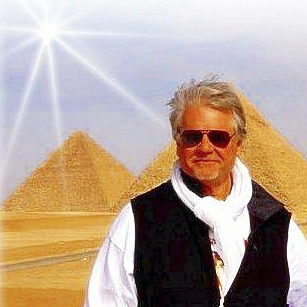 He has visited over 300 sacred sites across the globe over the past four decades. He has been a guest speaker at the ‘Elders Speak’ Conference in Sedona, Arizona and the 2007 Eagle & Condor Elders Gathering in Peru, attended by over 100 Native Americans including Spiritual Head of the Mayan Nation, Don Alejandro Olax. He has hosted many Earth-Keeper conferences and Pilgrimages to Sacred Sites. Tyb has been a guest on numerous metaphysical radio programs including The New Earth, Voice America, Awakening Now, News for the Soul, VOA, BBC , Infinity Radio, Souls in Transition, and Mystical World. He has mixed Native American heritage, and has completed seven 5-day prayer fast, vision quests in the Lakota modality, and several 3 1/2 day fasting dance ceremonies . He has had numerous shamanic journeys in Mexico and in South America. He currently resides in Texas. He has authored four books, co-written a fifth with Lee Carroll (Kryon) and Tom Kenyon (The Hathors) and is writing his sixth book on the metaphysical healing properties of gemstones. 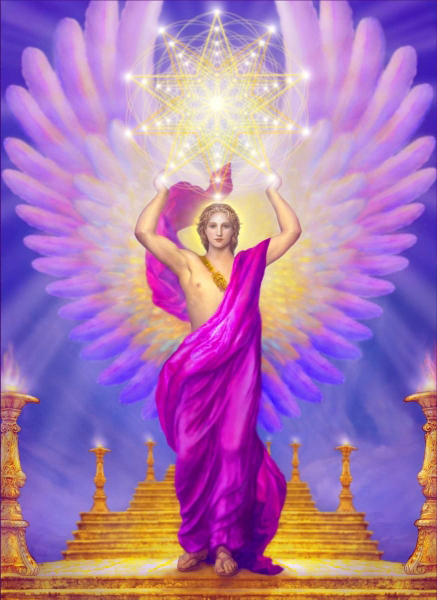 Tyberonn began channeling Archangel Metatron in 2007, and is featured each month in the ‘Sedona Journal of Emergence Magazine. He retired from his geological work in mid 2009 , and now writes and conducts seminars and sacred site travel throughout the Globe on a full time basis. His extensive travels and time as an expatriate allowed him great opportunities to learn other languages and cultures. He is truly a “Citizen of the World”, and dedicates his life to sharing the spiritual and sacred scientific information received from Archangel Metatron. For more information, visit www.earth-keeper.com.